We adhere to the strictest of safety regulations as outlined by PADI. We are proud to report that our dive program is supervised by Director of Dive Education Laura McCallion, who is a PADI course director, the highest level of PADI certification available. We choose our sites for the program for their proximity to a hyperbaric chamber in the highly unlikely event that someone might need medical attention for decompression sickness (DCS). We provide each student with DAN (Diver’s Alert Network) insurance as part of their tuition, to be certain that any dive related health issue ifs covered. We do not allow students to dive without the safety of the group and always have at least one qualified dive master or instructor in the water. Our student to faculty ratio in the water is minimally 5 to 1. Most often we exceed this ratio, since no one — faculty included — likes to miss a dive! We have never had a dive accident in the time we have been running the program. 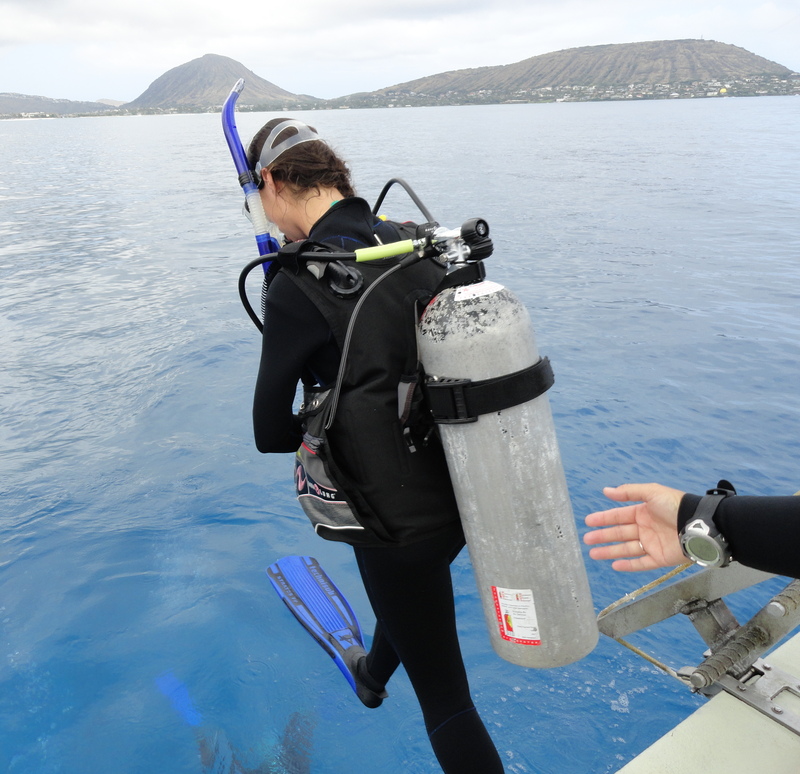 Some programs require students to already hold an Open Water scuba certification. Other programs include Open Water dive certification including pool and open water instruction.